Successfully Added Travelers AP Hotspot Finder - 2.4G 802.11b/g WiFi Scan to your Shopping Cart. Constant access to the Internet is becoming more and more important to people on the go, so this 2.4G,802.11b/g Wireless Internet AP Hot Spot Finder is an invaluable tool for anyone looking for a Wireless Hot Spot. With the push of the button, it will scan the area and tell you if there is a WiFi signal and how strong it is via its 3 LED lights. Small and lightweight, it is a easy item to take with you wherever you go, and its impressive 50 Meter scanning range is ideal for fining those sometimes hard to find APs. 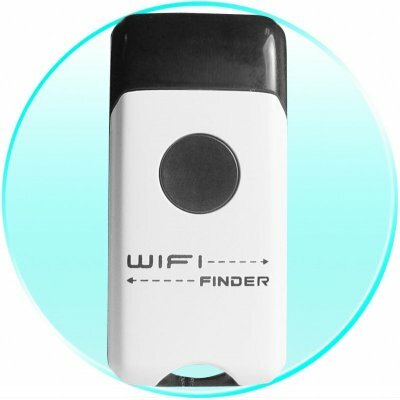 This low cost WiFi Finder is available with no MOQ direct from Chinavasion..
10 Second Scan for best results.